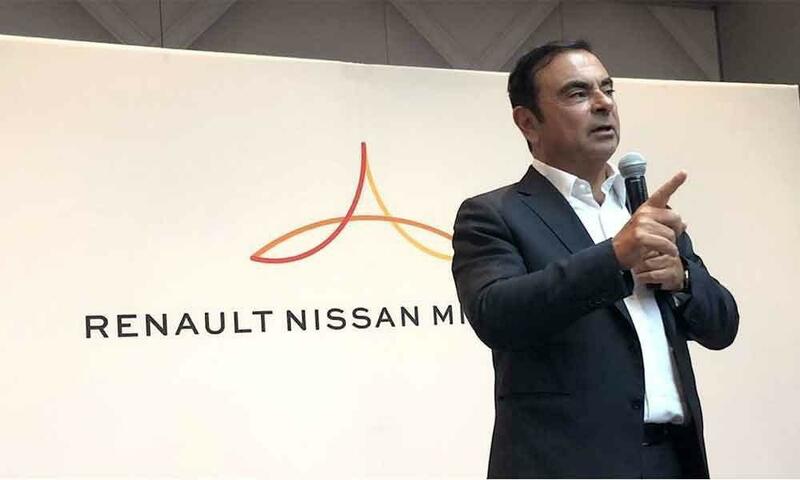 TOKYO, April 5 (Xinhua) -- Former Nissan Motor Co. Chairman Carlos Ghosn is suspected by prosecutors of authorizing payments to a Nissan dealership in Oman, with reasons for the transfers of funds being created after the fact, sources close to the matter said Friday. The distributor in Oman had no control over the transactions, the final stage of which saw the funds redirected, ostensibly, to Ghosn himself, the sources said. Tokyo prosecutors arrested Ghosn for a fourth time on Thursday, less than a month after he was released on bail, on suspicion of aggravated breach of trust that caused Nissan to lose 5 million U.S. dollars. On Friday, the Tokyo District Court approved a 10-day extension to Ghosn's detention until April 14, with the news sparking a harsh backlash from Ghosn's lawyer. "The court earlier approved his release because it judged that it had no concern over evidence tampering. But it has again allowed his detention. It's illogical," said defense lawyer Junichiro Hironaka. The fresh allegations suggest that Ghosn may have made more than 34 million U.S. dollars in payments from a CEO reserve fund that the once-revered tycoon had discretion over, under the pretense of sales incentives from Nissan. Sources said that the money was then transferred from a private bank account opened in Lebanon by the Omani dealer, funneled through an investment firm run by the Omani and sent to a company account belonging to a family member of Ghosn. The funds are suspected by prosecutors thereafter of being used, at least in part, to purchase a 1.6 billion yen (14.35 million U.S. dollars) luxury yacht for use by Ghosn's family and others, the sources said. In a written statement released after being served a fourth arrest warrant, Ghosn described his arrest as being "outrageous" and "arbitrary" and "another attempt by some individuals at Nissan to silence me by misleading the prosecutors." He also said that he had been "wrongly imprisoned for 108 days" and that his "biggest hope and wish today is for a fair trial." He went on to say that his rearrest meant that he could not give a highly anticipated press conference, which he had initially scheduled for April 11, according to a surprise tweet he released on Wednesday. Hironaka has also blasted Japan's judicial system here as being a "hostage justice system." Ghosn has been judged not to be a flight risk and has adhered to strict bail conditions, including being under camera surveillance and has only had limited access to the use of phones and computers, his defense team has highlighted. "If prosecutors thought they could gather enough evidence for another prosecution, they should have just slapped additional charges. I don't understand why they detained him," Hironaka said Thursday. "If anything, they chose to torment him through hostage justice and are trying to gain an upper hand," he said, adding that his client's latest detention was "excessive," and the confiscating of his wife's passport "outrageous." Ghosn's defense team has maintained that in terms of Thursday's arrest, the money transferred to Oman was made at the request of his subordinates and was a permissible payment made to the dealer for his many years of service. His team have also said that the purchase of the multi-million dollar yacht has noting to do with Nissan. Ghosn, who was first arrested on Nov. 19 on charges of under-reporting his remuneration for years in Nissan's securities reports presented to Japanese regulators, is also facing a separate charge of aggravated breach of trust, for allegedly transferring private investment losses to Nissan. 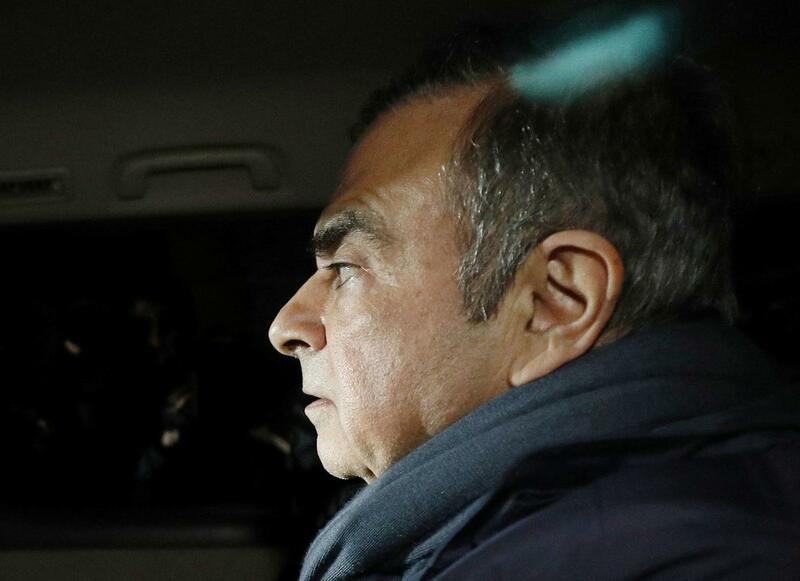 Ghosn, who holds Brazilian, French and Lebanese citizenship, was released on bail on March 6 after spending 108 days in the Tokyo Detention House. He has denied the charges and was, prior to his arrest, gearing up to give his first, highly anticipated press conference. Ghosn, widely regarded as being the brains and brawn behind Nissan's rapid turnaround from near-bankruptcy since 1999, was removed from his post at Nissan following his arrest, but still holds his seat on the automaker's board as a director. Nissan, the automaker has said, is imminently planning to oust Ghosn as a board member at an extraordinary shareholders' meeting slated to be held on April 8. He was also replaced as chairman of Renault SA in the three-way alliance he created after he tendered his resignation while in detention in Tokyo.